Facebook is constantly tweaking their cover page sizes and dimensions, often causing major design problems and hours of work to redo all of these sizes over and over again. We decided to do a lot of research and testing to come up with the perfect template that works everywhere. This means you only need to create one image and it will look great no matter where you upload it. 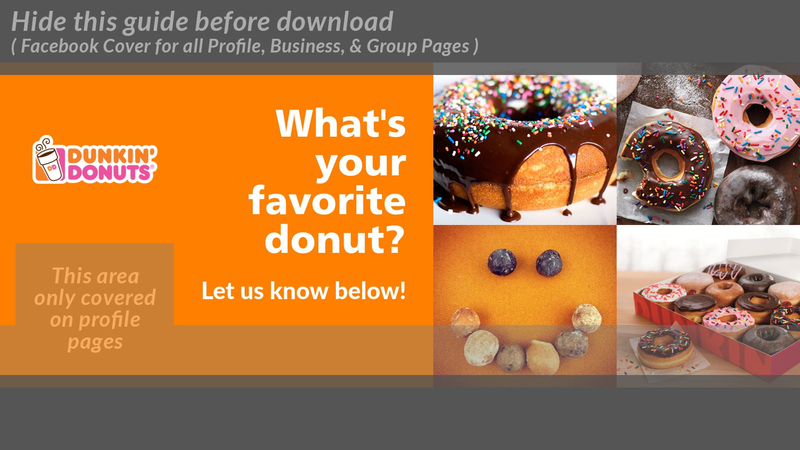 This is how the uploaded image look on a Business Page. This is how the cover image looks as a Facebook Group Cover. And this is how it looks as a Personal Profile Cover. It's important to notice that your personal thumbnail image, the "Edit Profile" button, and the "View Activity Log" button will cover up some areas of your uploaded image. We have calculated for this but not EVERY elements on EVERY cover image will be able to be used.